Drones are a hot topic at the moment. You can buy various types of drones, there is basically a drone to fit all your needs. And your price range! Although you might have at least once thought about building your own drone, how cool would that be? You can design it and make it to your liking and your price range. Throughout this article we will tell you how to build a drone from scratch. You should already have a certain image of the type of drone you want in your head before you actually start building it. You need to ask yourself what do you need the drone for? Do you need it just for the heck of it? To fly the bird on your free time? Or perhaps you need a drone with an amazing camera that will capture and record beautiful images. This is the first step because this will help you with your decisions that are to come while making a drone. Another thing you should keep in mind before making your own drone, is how fast and powerful do you want your drone to be? Perhaps you want it a tad bit faster than your average drone- in that case you will be adding a better motor to make your drone fly faster. The easiest and cheapest type of drone to build is definitely the tricopter. A tricopter is similar to a helicopter because it will fly in the same way as a helicopter does. Now the first problem is how to actually build your own drone? You should be aware of the basic tools and parts you need before building your drone. You should have a pair of batteries and a charger/adapter, this way you will know how to charge your drone. One of the most important things to building any type of drone is to have a motor. When building a drone you can either have a brushless or brushed motor. The next thing you need is a set of propellers. When it comes to the propellers buy a good pair of propellers because they will be lifting your drone up in the sky. Also don’t forget to buy a set of guards for your propellers so you won’t be able to cut yourself while playing around with your done. The first thing you need to do when you start building your drone is to think about what kind of frame you want, that is worry about the design. 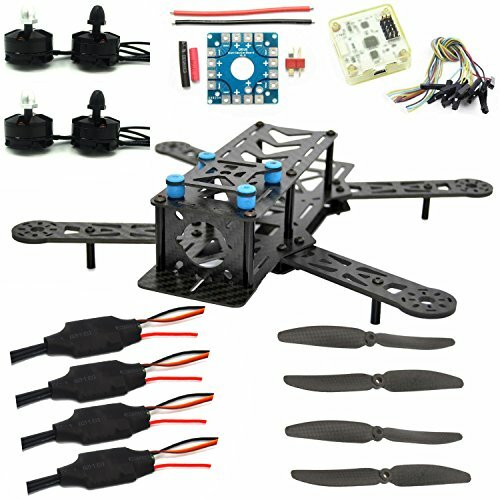 Do you want a quadcopter or a tricopter? It’s really easy to build a frame and there are lots of tutorials on this subject. The next step is to worry about the motor. What kind of motor do you want your drone to have? Do you want a heavier motor or do you want a lighter one that will give your drone more speed? Motors can be bought at various electronic shops. Once you buy a motor you must mount it, in many cases mounting your motor is super easy and all you have to do is screw some screws! Then you will need to mount your motor to your frame, once again such an easy job because all you do is screw a few screws. This part is probably the most important because you need to get all the electronics right in order for your drone to work correctly. You need to buy a power distribution board and connect it with the rest of the wires. Basically cut the wires from your motor and match them up with the correct circuits on the board. Aside from the motors you need to worry about the speed controllers. You need to mount the rest of the electronics, the flight controller and the receiver. The best way to connect all your electronics is via zip wire. The next step is to setup up your controller. We recommend you buy a simple controller in this case you can go for a normal, basic DJI controller. 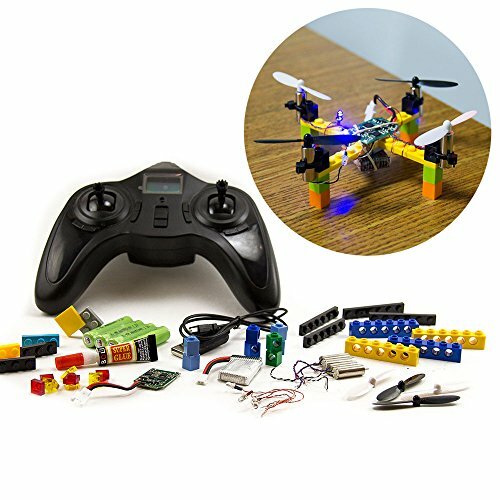 This is probably the first drone you are making and you don’t want to over complicate things, therefore we suggest you buy a simply one that will be easy to setup and of course control as well! Last but not least we come to the last mounting and to your props. You need to go out and buy a prop balancer. Prop balancers are very frequent and you can find them at various prices. We recommend on getting a reasonable priced one because the cheapest ones aren’t always the best. Once you buy a prop balancer go right ahead and balance out all your props, you want them to balanced so that your drone will fly easily because no one wants a unbalanced drone. Once you have balanced and put everything together make sure your props are connected correctly and that they are mounted on to your drone in the proper way. If you are having trouble go back and look at the wiring, sometimes people make the smallest mistakes. After everything is hooked up properly you can test drive your drone. We know this sounds like a lot of work for one drone, but trust us it’s really fun creating your own, one of a kind drone. And the pleasure of flying it afterwards is indescribable. 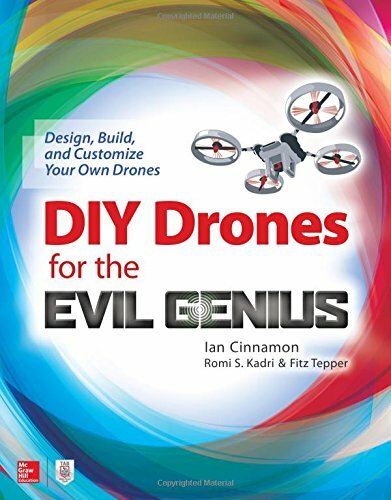 Try it yourself, just about anyone can build a drone!